These puzzles feature two sides and designs that are colorful and sure to capture a child's attention. 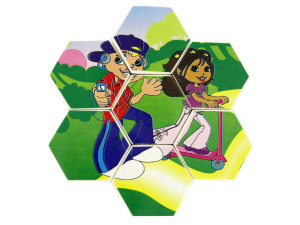 Each pop puzzle snaps together and never completely comes apart; kids simply move the pieces around in order to make the puzzle go back into its round shape. Each measures 3" around.